The Mac Photos app includes a great red-eye removal tool, which makes quick work of getting rid of the glaring red eye effect which can sometimes happen with photos of faces. 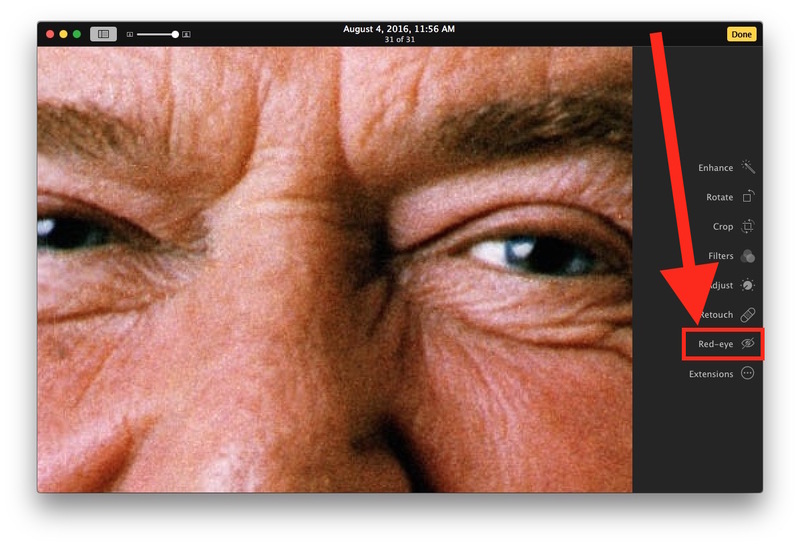 One of the curiosities of Photos for Mac though is the red eye tool is not always visible as an option, as the app appears to try to detect if red eye is visible in the image and only show the removal tool if needed. This has caused some users to think the feature does not exist in Photos for Mac. With a little effort you can always show the red eye removal tool in Photos for Mac, removing any guesswork about if the feature is there, and if it’s usable for any photo in question. 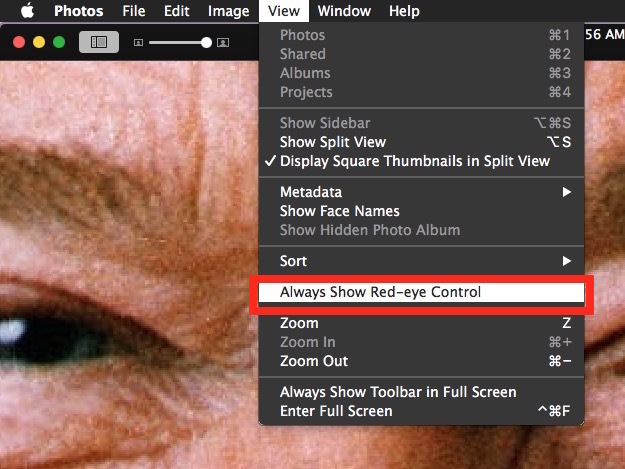 This will make the red-eye tool always visible, offering quicker access regardless of what the picture loaded in Photos for Mac is or looks like. Now that Red-eye tool is always visible, you shouldn’t have any problem accessing it or using it again in the future if need be. Using the Red-eye removal tool is just a matter of selecting the option and then clicking on the red-eye in the photo, it does a great job of instantly removing the red-eye effect with virtually no effort. You can perform similar removal of red eye from pictures with iPhone or iPad Photos app as well. WOOHOO! Thank you for the tip!